Here at Infinity, we have teamed up with The Pines to create a session that is more accessible for users with Autism. For this session, we turn off the music, lower the lighting and capacity and set up a chill-out zone with sensory toys. We realise that watching the safety brief video may be challenging for some individuals so we have set up a couple of alternatives – users have the choice of a 1-1 verbal safety brief with a member of our trained staff, a private screen of the safety video to watch at your own pace or the standard video screening. We have made the safety rules available online here so that you can be familiar with them before your visit. See here for our walkthrough video of what you can expect for your visit. Some users may find a checklist of the steps to get ready for trampolining useful – click here. These are also available at reception. We would like to help make trampolining an activity that everyone can enjoy. 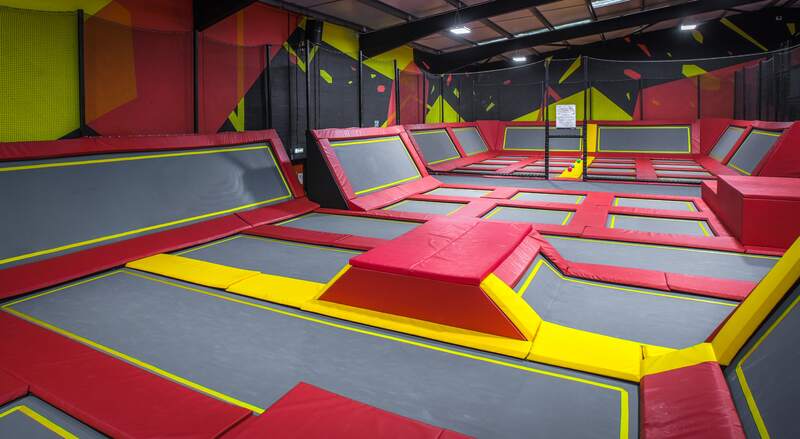 If you have any additional requirements, please email us at safety@infinitytrampolinepark.co.uk and we will do our best to accommodate. We are in the process of making our park handicap accessible but, at present, it is still a requirement that users are able to bounce on a trampoline independently. See here for the requirements of trampoline usage. The sessions will launch officially on Wednesday 25th October 2017. Sessions will be held every Wednesday 6-7pm and Sunday 5-6pm. 1 carer per participant may jump free if they present a valid carer’s ID.